I’m just a guitar player like you. 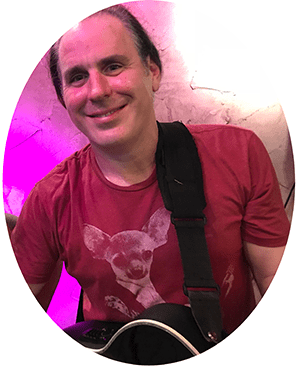 This is my first website and this is also my first book, so I’m kind of learning about this stuff as I go…. UPDATE: The Sale is over, but you can still get the book 25% OFF for $14.99. 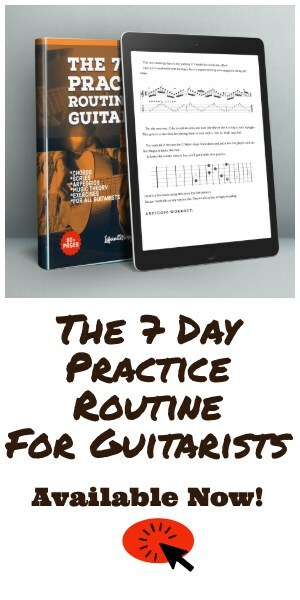 About the 7 Day Guitar Practice Routine. I spent a lot of time on this book and it has been my “baby” since I released it back in October. I originally wrote the routine for myself. I wanted a practice routine that covered all of the different techniques, chords, scales and arpeggios that I could break down into daily chunks I could do between gigs during my busy week. 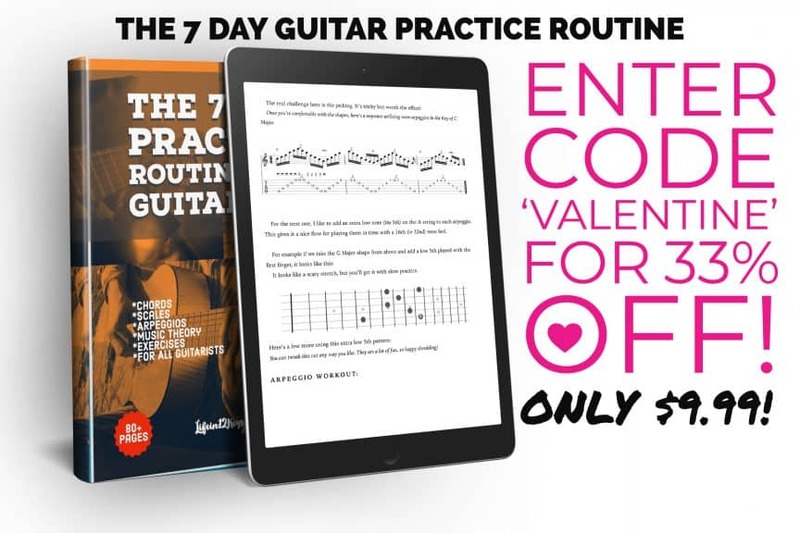 After I finished the 7 day practice routine, I went back through it and added all of the shapes and music theory a beginner or intermediate guitarist would need to use it. The next thing I knew… I had written over 90 pages. I’m pretty proud of it and have gotten nothing but good reviews so far.